Happening TODAY as I write this blog post (8:52 am PST), the planet Mercury is passing between us and the sun (the small dot about two-thirds of the way up…the other one about half way up is a sun spot) . Unlike the moon which does this transit a couple times a year, mercury doing it is big news because it only happens about 13 times a century. 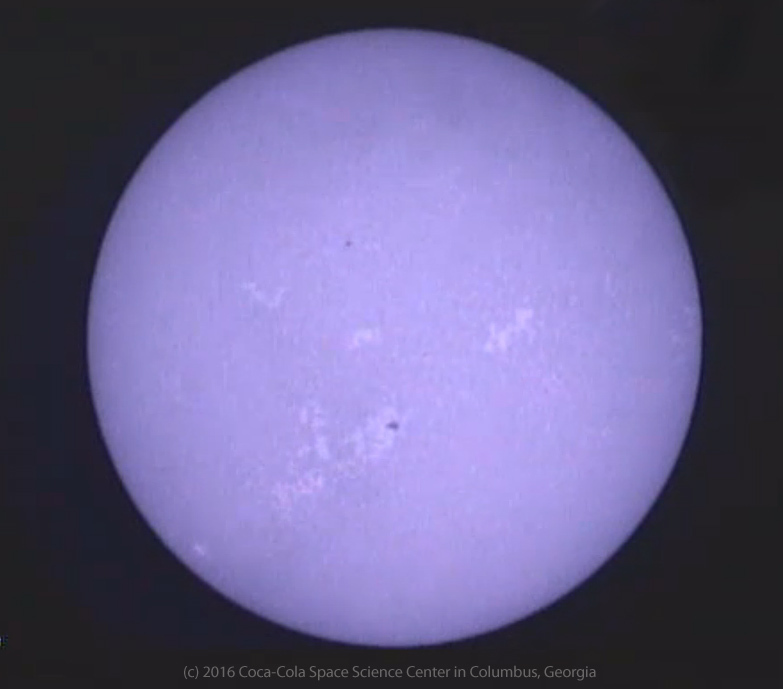 I captured today’s image from the Coca-Cola Space Science Center in Columbus, Georgia, which is streaming the transit live via a filter to better see the action. It ends around 12:30 pm PST. Unlike Friday’s MotD where the moon almost completely blocks out the sun, little mercury hardly makes a dent. Thus her “ring of fire” is much wider than the moon’s. Our culture tends to glorify big things and even touts phrases such as “go big or go home.” And yet more often than not it’s the little things that make the bigger difference. When it comes to moving forward, making progress on ourselves and our projects/goals, better to take baby steps than no steps at all.